In the first step, you will go through some of the main questions you need ask yourself when reviewing different brokers. We have put together a pointers by taking some of the most frequently asked questions across the internet, and some via live chat frequently asked about online Forex brokers. Availability is key.Try hitting the company's website at different times throughout the day, especially during peak trading hours. Watch how fast their site loads and check some of the links to ensure there are no technical difficulties. Alternative trading provides flexibility.Although we all love the net, we cannot always be at our computers. Check to see what other options the firm offers for placing trades. Other alternatives may include touch-tone telephone trades, fax ordering, sending an email or doing it the low-tech way - talking to a customer service operations over the phone. Word to the wise: make sure you take note of the prices for these alternatives; they will often differ from an online trade. The broker's background matters.What are others saying about the onine broker? Just as you should do your research before trading in Forex, you should find out as much as possible about your broker. Price isn't everything. Remember the saying "you get what you pay for"? As with anything you buy, the price may be indicative of the quality. Do not open an account with a broker simply because it offers the lowest commission cost. Advertised rates for companies vary between zero and $40 per trade, with the average around $20. There may be fine print in the ad specifying which services the advertised rate will actually entitle you to. In most cases, there will be higher fees for limit orders, options and those trades over the phone with your broker. You might find that the advertised commission rate may not apply to the type of trade you want to execute. Minimum deposits may not be minimal. See how much of an initial deposit the firm requires for opening an account. Beware of high minimum balances: some companies require as much as $5,000 to start. This might be fine for some investors, but not others. Product selection is important. When choosing a online Forex broker, most people are probably thinking primarily about buying and selling online. Remember there are also many investment alternatives that are not necessarily offered by every company. This includes municipal bonds, options and even gold/silver certificates. Customer service counts.There is nothing more exasperating than sitting on hold for 20 minutes waiting to get help. Before you open an account, call the company's help desk with a fake question to test how long it takes to get a response. Return on cash is money in the bank. You are likely to always have some money in your online account. Some online brokers will not give your money back because it is less than $100 while others won't offer you a customer service. Phone or send an email the brokerage to find out what it offers. In fact, this is a good question to ask while you're testing its customer service! Extras can make a difference.Be on the lookout for extra bonus or contest offered by online brokers to people thinking of opening an account. Do not base your decision entirely on the $100 in free trades, but do keep this in mind. Signing up for a Forex account is much the same as getting an equity account. The only major difference is that, for Forex accounts, you are required to sign a margin agreement. This agreement states that you are trading with borrowed money, and, as such, the brokerage has the right to interfere with your trades to protect its interests. 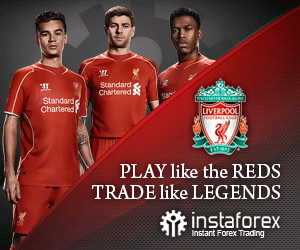 Once you sign up, simply fund your account, and you'll be ready to trade!